Please join us on Tuesday, March 26th, at the Benton Museum for an auction of artwork by faculty, alumni, graduate students, and undergraduates to benefit the MFA in Studio Art program. The preview will take place noon-7 pm, and the live auction starts at 7 pm. The starting point for the left-bid auction of undergraduate work is just $10. As readers might remember, I earned my MFA at UConn and also taught a seminar in the MFA program this year, so naturally I’m a big supporter of this annual event. Highly competitive, UConn’s program accepts just five students per year, awarding each a teaching stipend, tuition waiver, and cavernous studio space on the sprawling campus for the old Mansfield Training School (in 1860 originally called the Connecticut School for Imbeciles). This year, first-year student Micah Cash is organizing the auction. 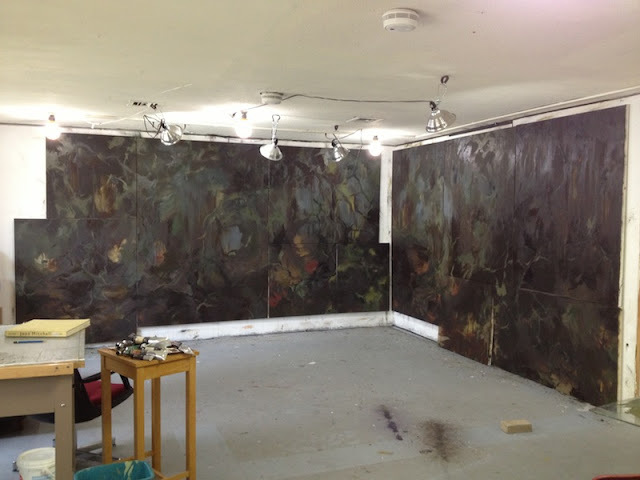 Here’s a picture of work in progress in a small corner of his studio, a space that is nearly three times the size that you see here (!) with big picture windows overlooking the haunting rural campus. exhibition, scheduled to take place at Sideshow in Williamsburg in May. 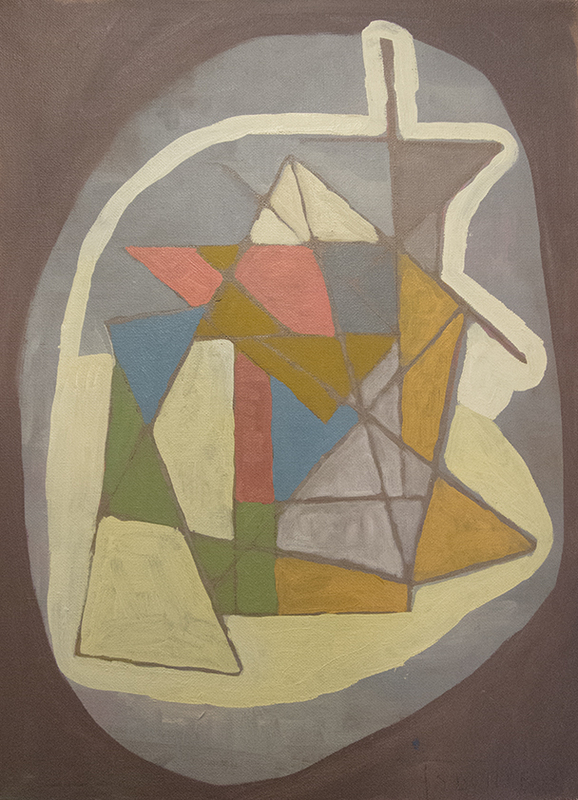 Sharon Butler, Untitled, 2008-11, oil on canvasboard, 11 x 14 inches.